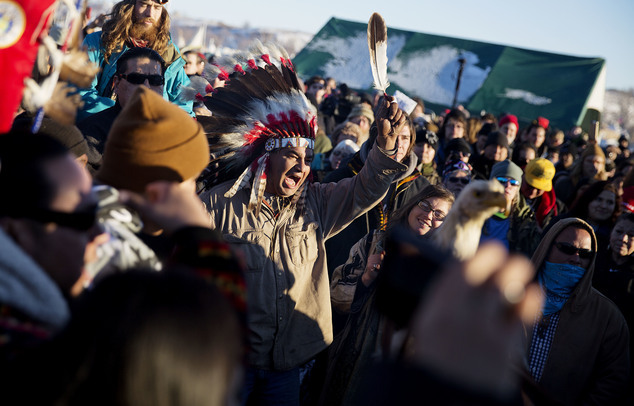 "The whole world is watching," said Miles Allard, a member of the Standing Rock Sioux. "I'm telling all our people to stand up and not to leave until this is over." The company constructing the pipeline, Dallas-based Energy Transfer Partners, released a statement Sunday night slamming the Army Corps' decision as politically motivated and alleging that President Barack Obama's administration was determined to delay the matter until he leaves office. 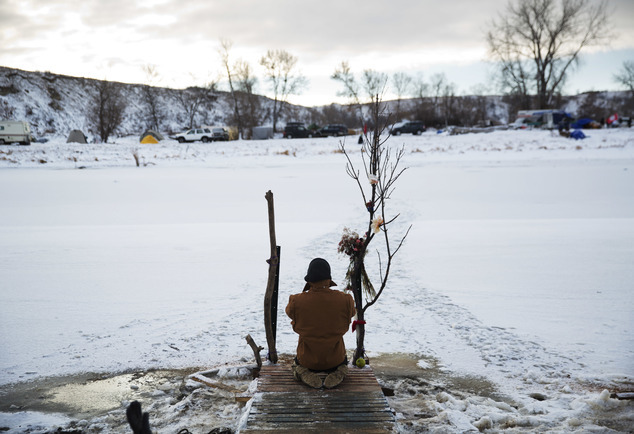 Attorney General Loretta Lynch said Sunday that the Department of Justice will "continue to monitor the situation"
Carla Youngbear of the Meskwaki Potawatomi tribe made her third trip from central Kansas to be at the sacred site. A response statement from Energy Transfer Partners and Sunoco Logistics said the corporations remain “fully committed to ensuring that this vital project is brought to completion and fully expect to complete construction of the pipeline without any additional rerouting in and around Lake Oahe. Organizers continue to call for every day of December to be “a day of #NoDAPL action” against the investors of the Dakota Access Pipeline. Over 100 solidarity actions worldwide have already been registered for the coming weeks as the encampment continues to stand their ground. That uncertainty, Allard said, is part of the reason the protesters won't leave. 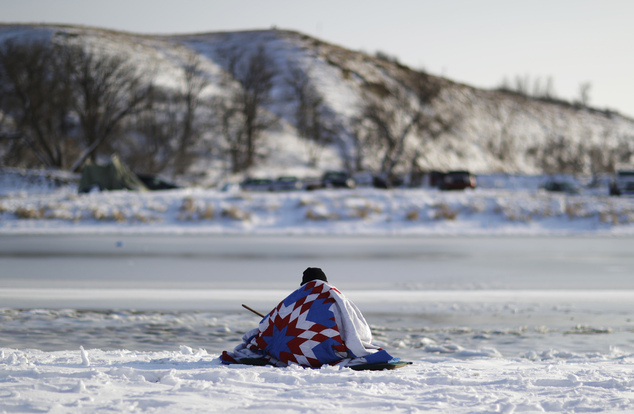 Responses to "Fight's Not Over: Standing Rock Water Protectors Vow To Stay"